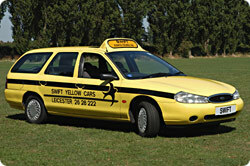 This is our most popular wheelchair friendly taxi with ramps to make loading easy. It is ideal for most types of standard wheelchairs. It can carry up to 6 passengers and is ideal for large parcels, deliveries and airport work due to the large floor area inside. Please note that this ideal wheelchair friendly taxi can carry a maximum of 3 other passengers when transporting a wheelchair. Ideal for wheelchair users, this wheelchair friendly taxihas a winch, which makes loading larger and heavy wheelchairs much easier. 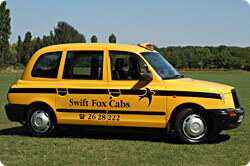 Good for deliveries as well and can carry up to 4 passengers. 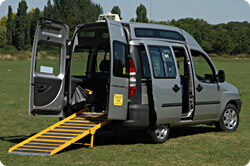 This vehicle can carry a maximum of 2 other passengers if a wheelchair is being transported. 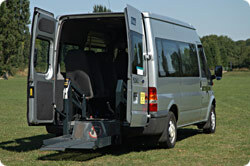 Can carry up to 8 passengers or 3 wheelchairs, having an electric tail lift ideal for specialist wheelchairs. It is also great for airport runs due to the large luggage space provided, and ideal for deliveries and heavy loads as the tail lift provides an added benefit. With 1 wheelchair it is also able to carry 7 passengers, with 2 wheelchairs 6 passengers and with 3 wheelchairs 4 passengers. Great for carrying up to 6 or 7 passengers. Ideal for airports, executive travel or group nights out. 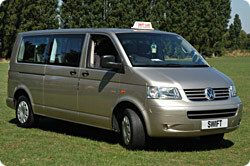 Can carry up to 4 passengers and extensive luggage which is ideal for airport work. The large boot area makes this ideal for parcels and deliveries when you don’t quite need a man and a van. Can carry up to 4 passengers. 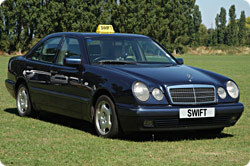 Ideal for that special client or senior management transport.